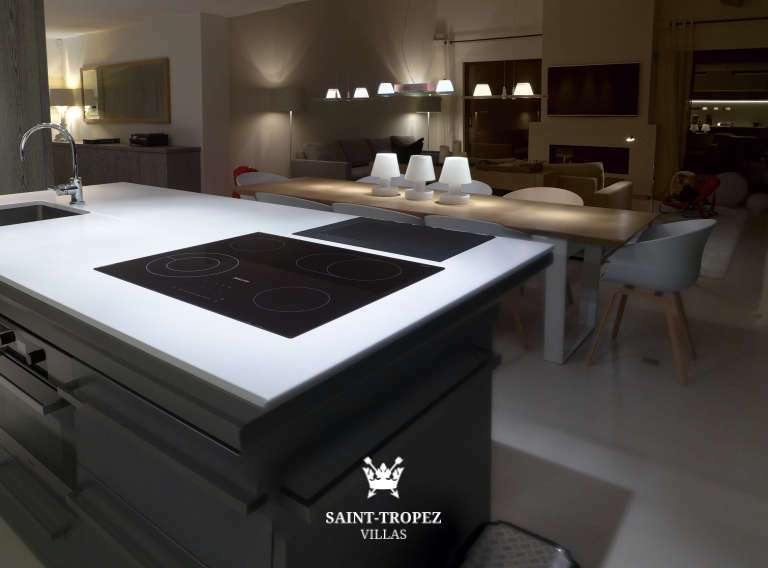 I'm interested in this object. 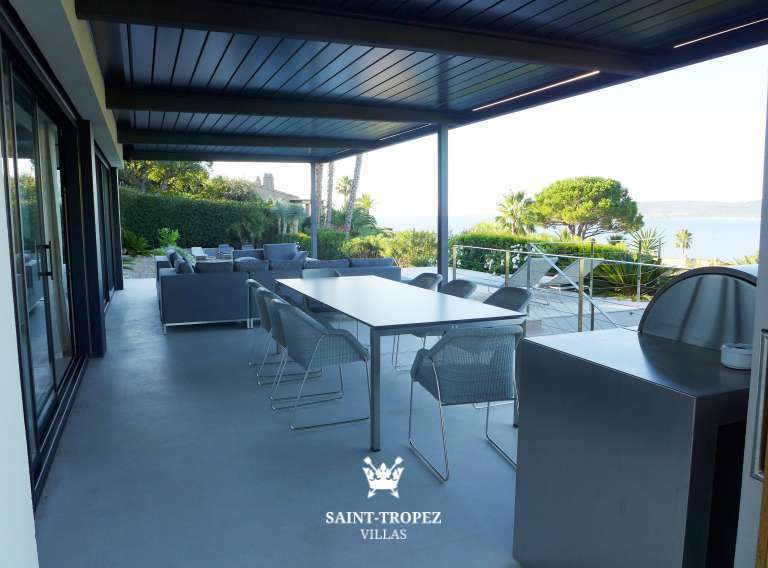 In this magnificent private and secured domain of Cap Tahiti lies this lovely modern property that has been recent totally renovated, the villa offers panoramic views over the see and Pampelonne beach. 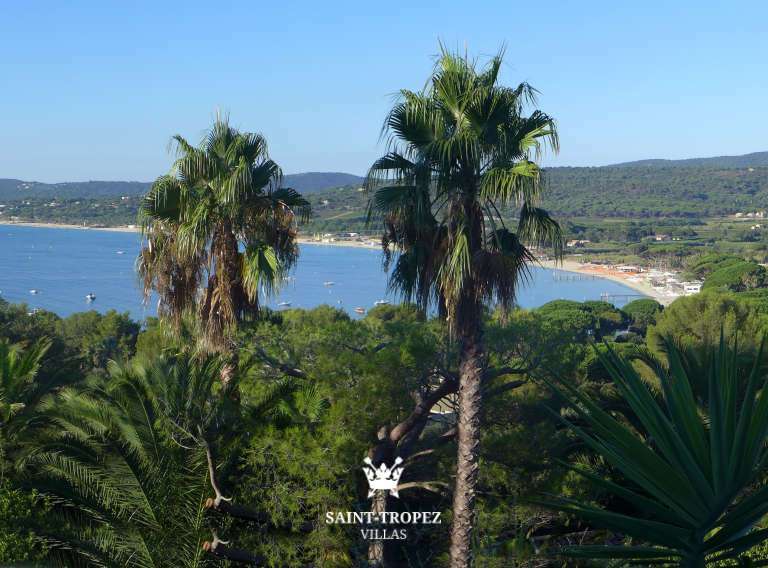 It is possible to enter the beach with a private gate downhill of this domain. 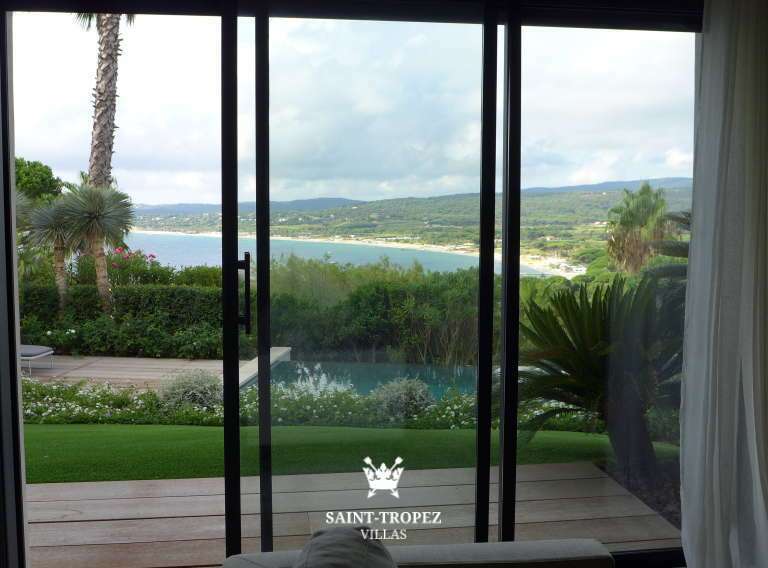 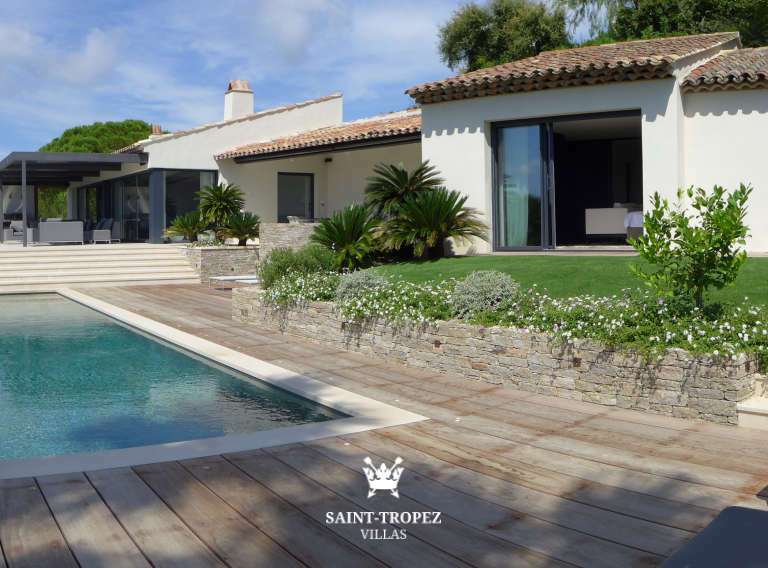 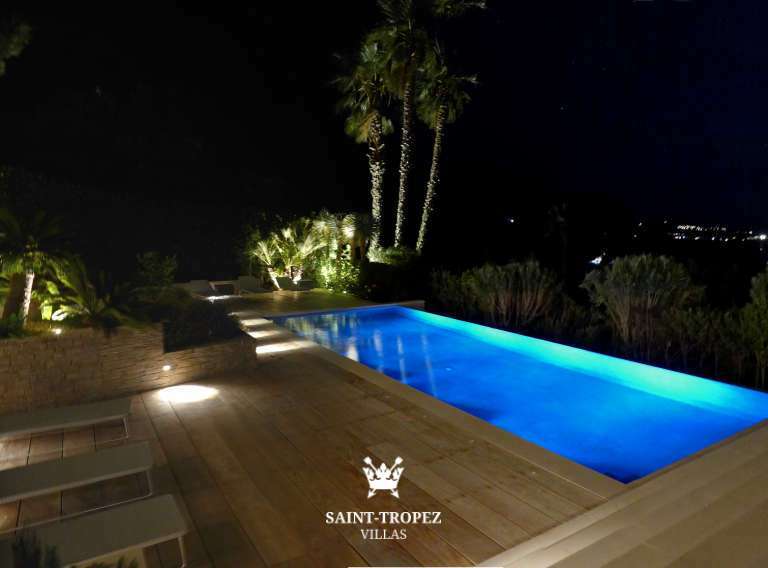 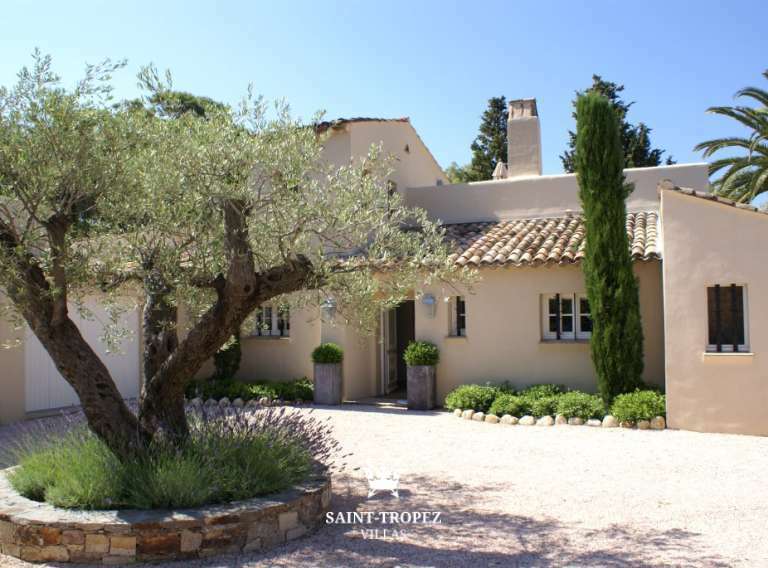 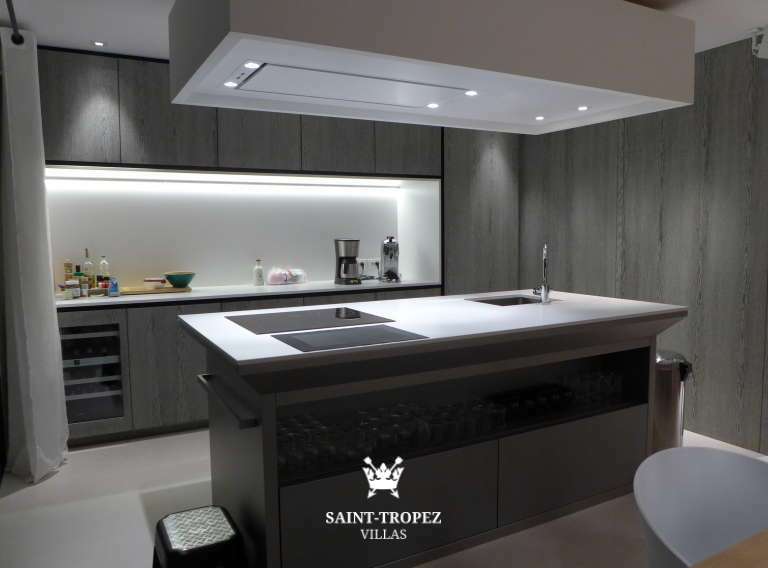 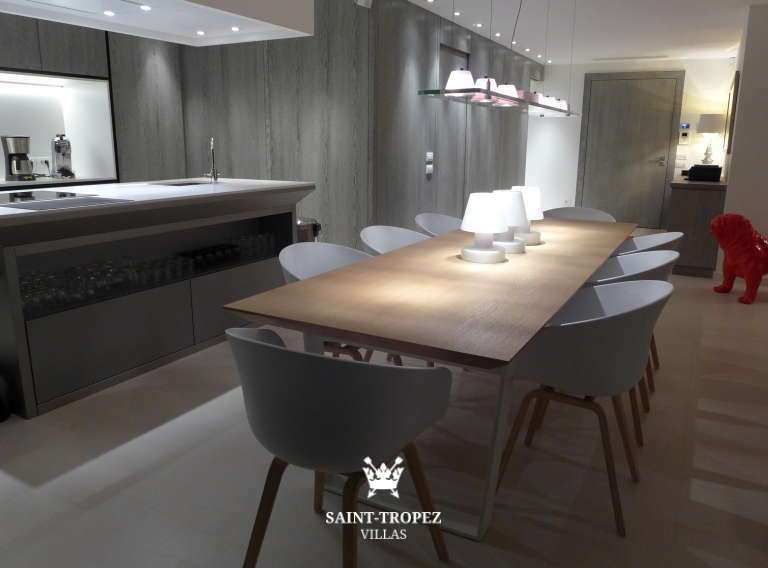 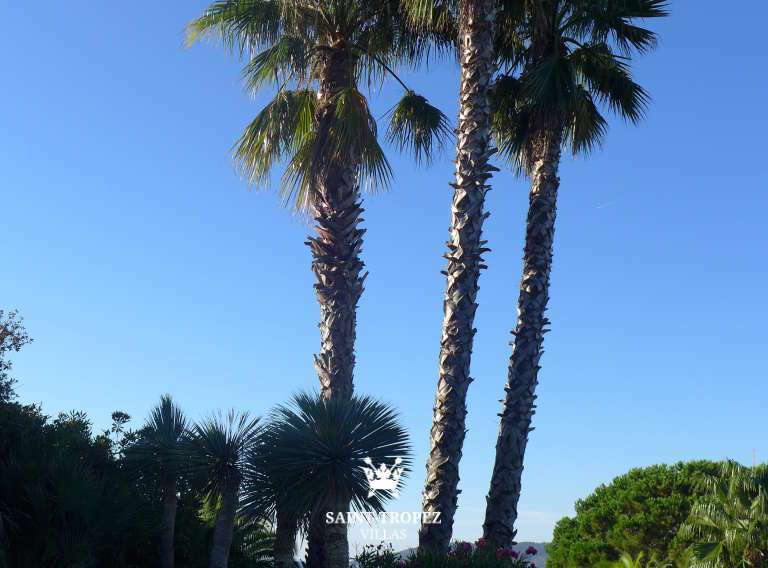 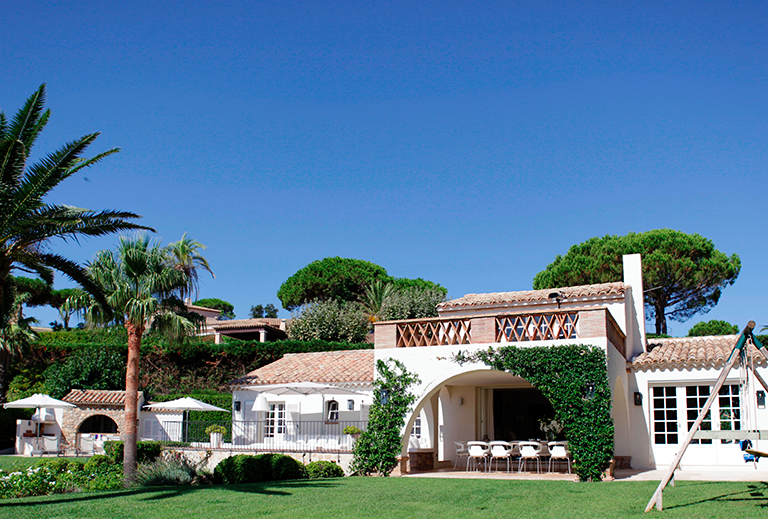 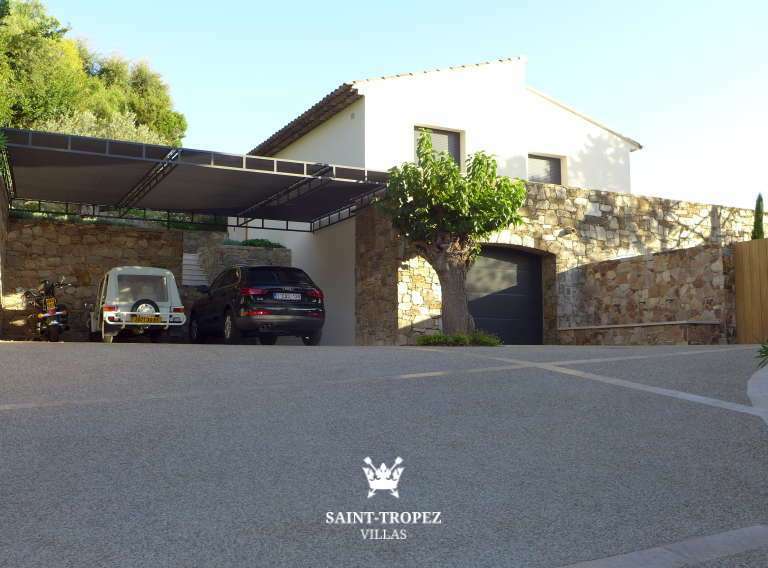 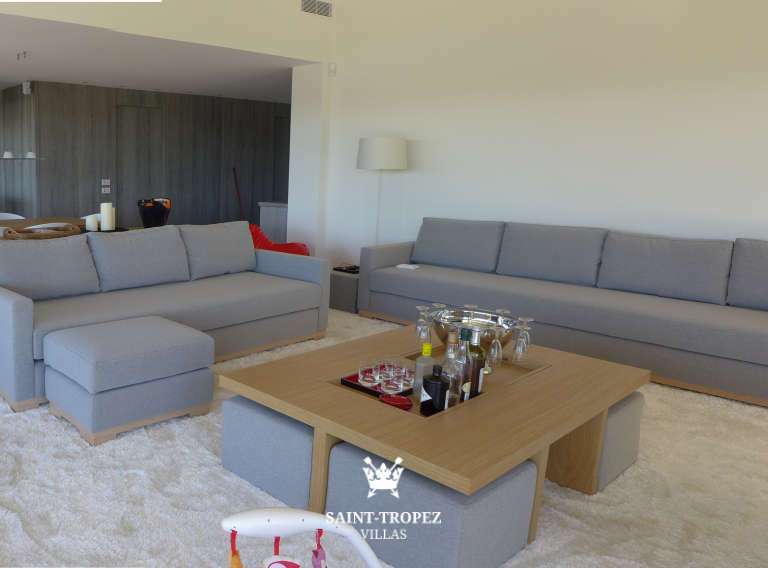 Saint Tropez Village is just a few minutes’ drive from this domain. 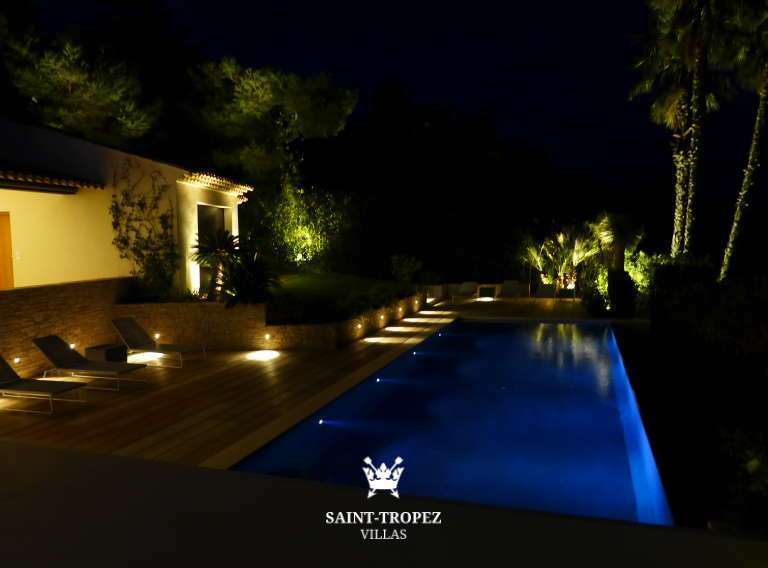 When you enter the house you will see that the owners have chosen for the best and most beautiful materials, you will feel the wonderful ambiance of this magnificent villa, the furniture is specially designed for Villa Azur, in the lovely garden with fantastic heated pool you will have good size terraces with sun beds. 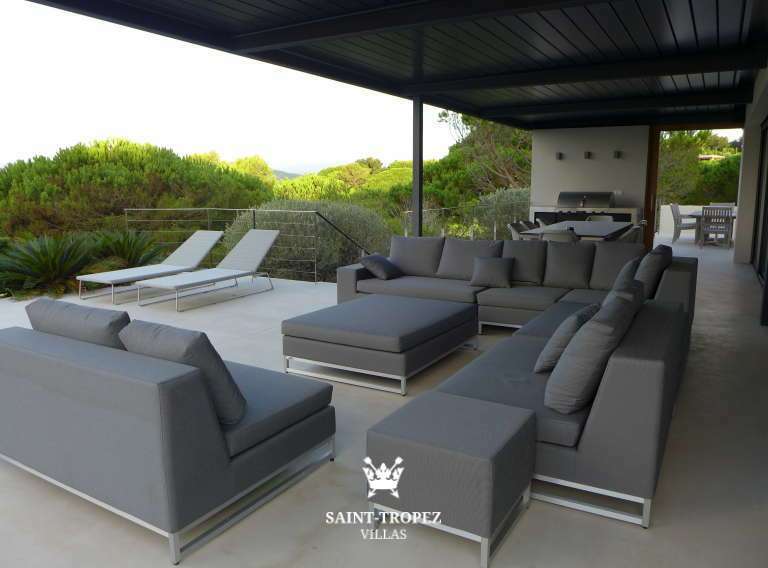 In front of the living room outside you will have a large terrace what is used as an outdoor living with beautiful furniture also a dining table and BBQ area. 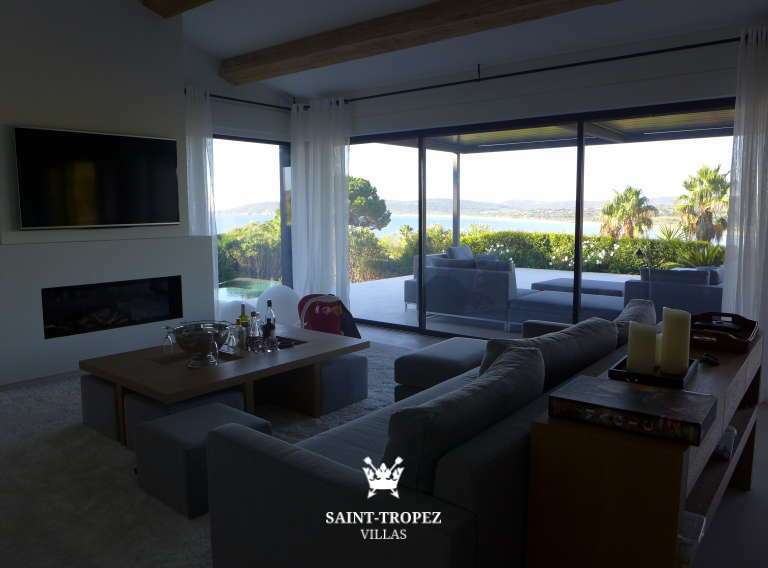 The villa offers; entrance, living / dining room with fire place + wonderful well equipped kitchen, from the whole area you have the view over the bay absolute beautiful. 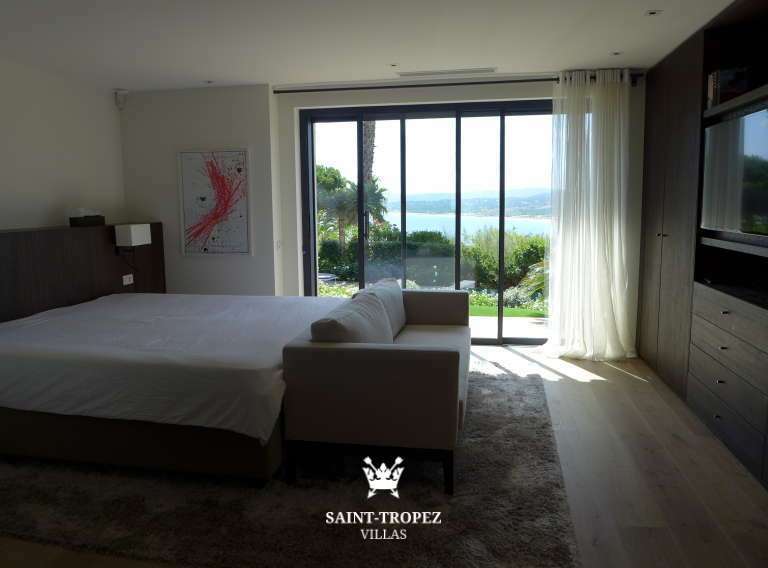 The master bedroom is located in separate area, connected with a covered corridor here you will have the large air-conditioned room with bathroom and dressing, again you have the views over the see. 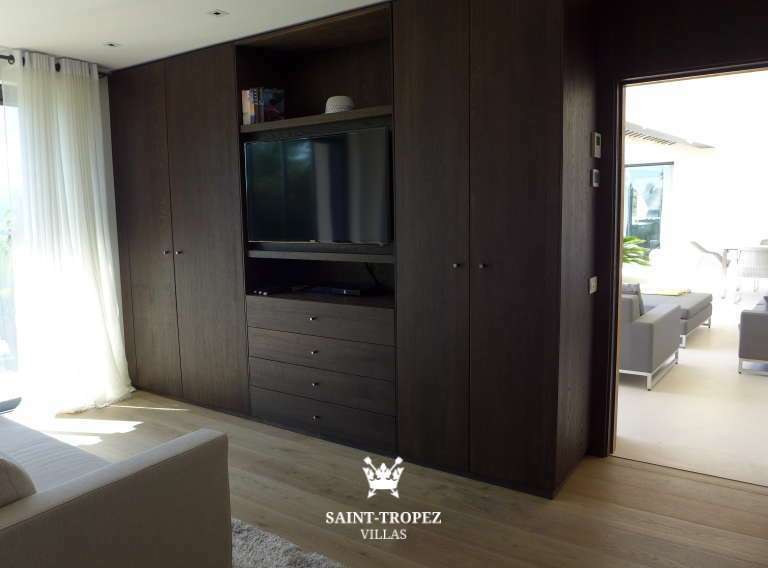 Behind the living rooms there are 2 bedrooms with shower rooms both very private. 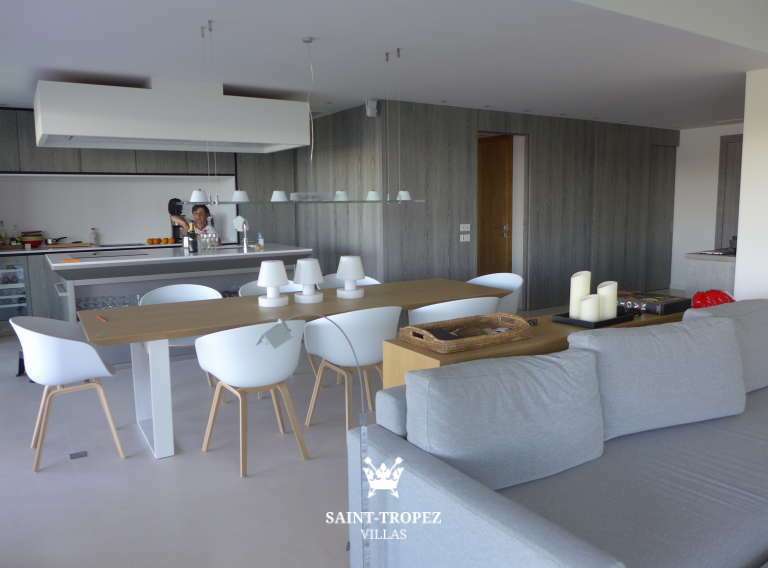 Down stairs you will find 2 bedrooms with shower room’s also very private areas further the laundry room and the garage. 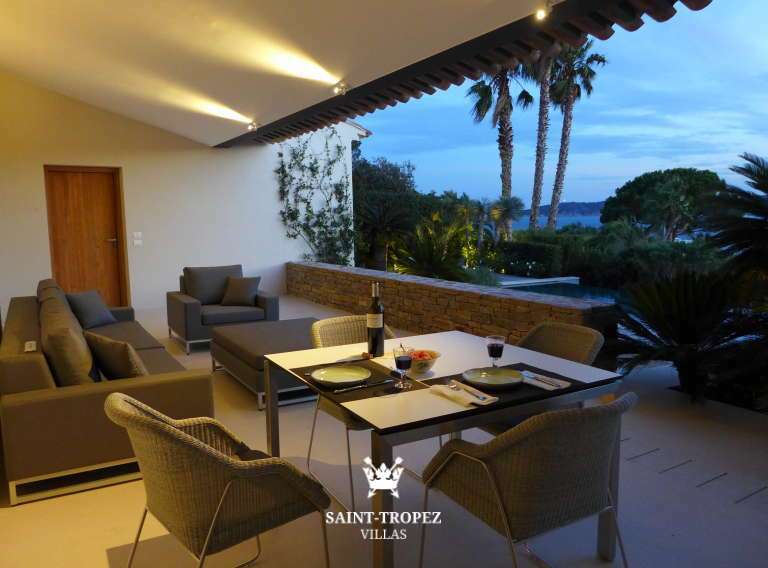 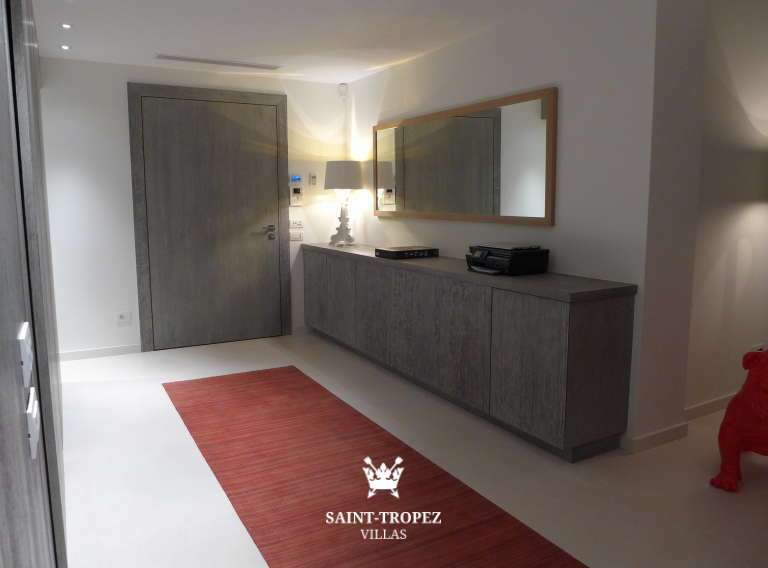 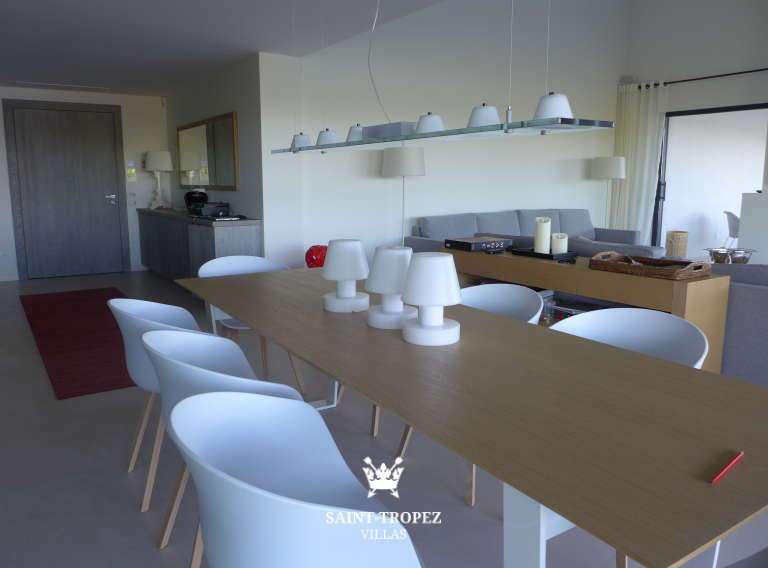 When you are looking for a wonderful villa not far from the beaches with a chic and wonderful atmosphere, would villa Azur be a fantastic villa to enjoy your holiday!